Hi everyone! :-) For today's short post I have this accent nail mani to show you. This afternoon I did a fresh mani with my favorite purple cream: OPI Funkey Dunkey. 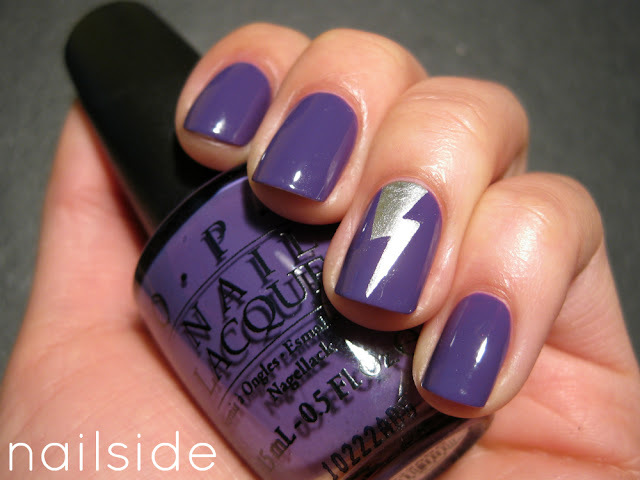 A few hours later I wanted to add a little eyecatcher, so it became this silver lightning bolt. It's a small addition, but just what I needed to complete this mani. ^^ Thanks for stopping by! same here! beautiful manicure, i love it! so subtle, yet so pretty! Love it!! Did you do that with tape? 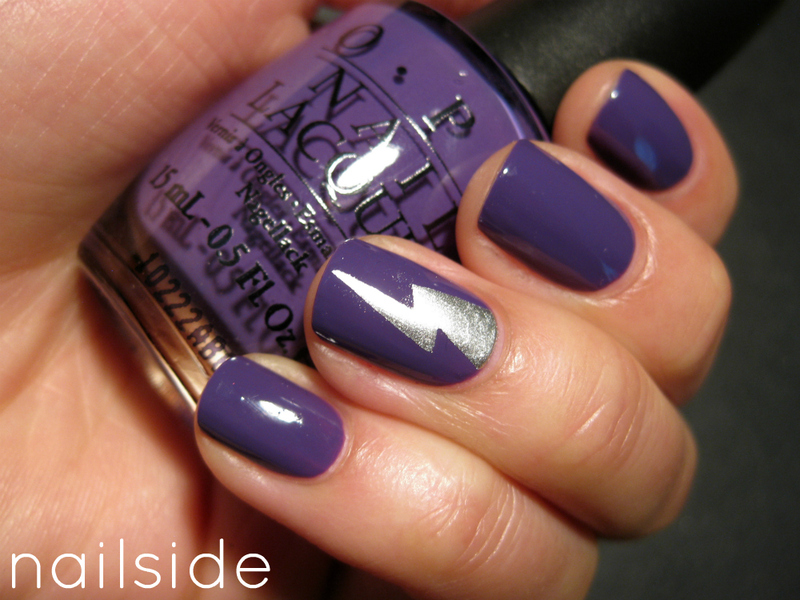 That accent nail is gorgeous! This is really pretty! Nice! omg i LOVE this design!!!!!!! looks so great! i love that OPI nail color too! So simple yet bold. Love it. i love the colors together. great job! I love! Please post a tutorial! I tried doing it on my own and failed miserably! Totally love this! I came across your blog via Pinterest & think your manis are awesome! So beautiful, I love the association of purple and silver. so wondeful form of nails and all ur polishes are perfectly applied!! !